When I started this project, I knew I wanted to try cooking food from India. I've had Indian food out a couple of times and really enjoyed everything I tried. There are many spices in Indian food that I'm not familiar with, but wanted to learn how to cook. At the library, I looked for a cookbook that had traditional recipes, but weren't too complicated. 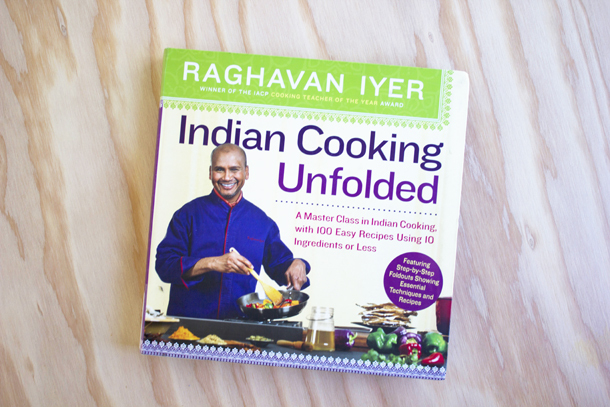 I found the perfect book, it's called Indian Cooking Unfolded. It explains the dish well and has easy to follow recipes. Plus, all the recipes use 10 ingredients or less. Perfect for folks new to cooking Indian food. Pour yogurt, ginger, garlic, garam masala, salt, paprika, and cayenne into a small blender or food processor. Blend until it forms a smooth paste. 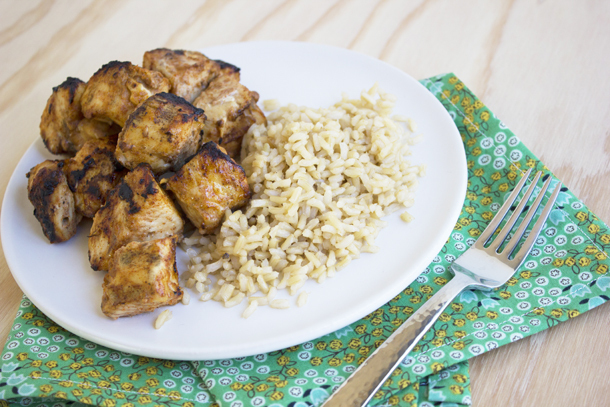 Place chicken (I cut mine into cubes for kabobs) in a bowl and cover with the spiced yogurt. Refrigerate the covered chicken for at least 30 minutes (or overnight). 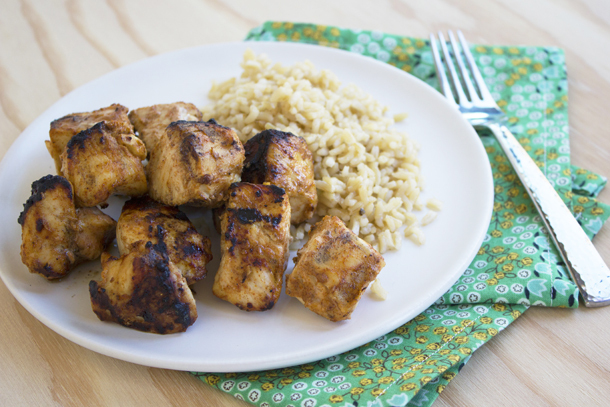 After the chicken has had time to marinade, preheat the oven to 450°F or turn on the grill. 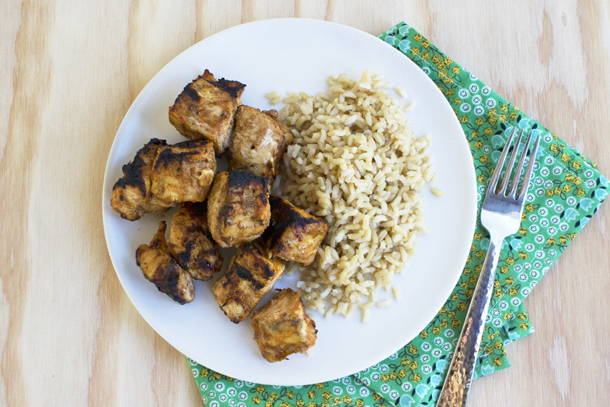 Grill or bake chicken until it is cooked thoroughly. And your done! It's so simple and tasty. I served mine with whole grain rice. Thanks. This makes me smile.